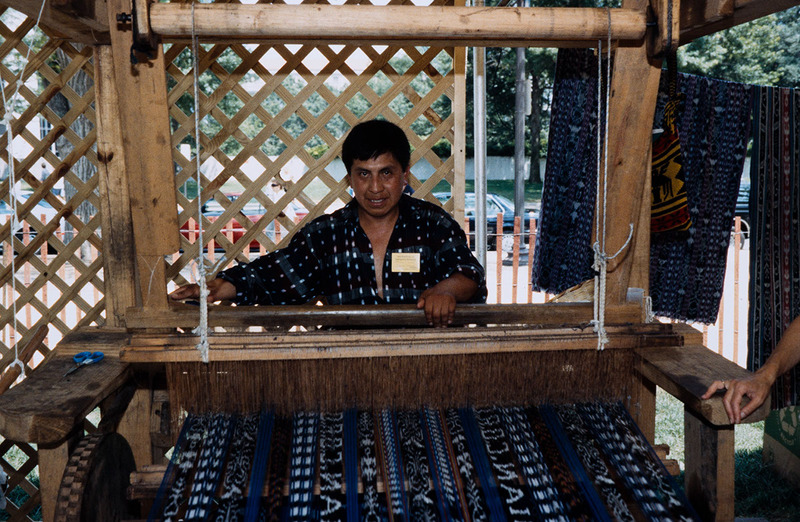 1994 Festival of American Folklife, Culture and Development in Latin-America and the Caribbean program (FAF1994_0037). 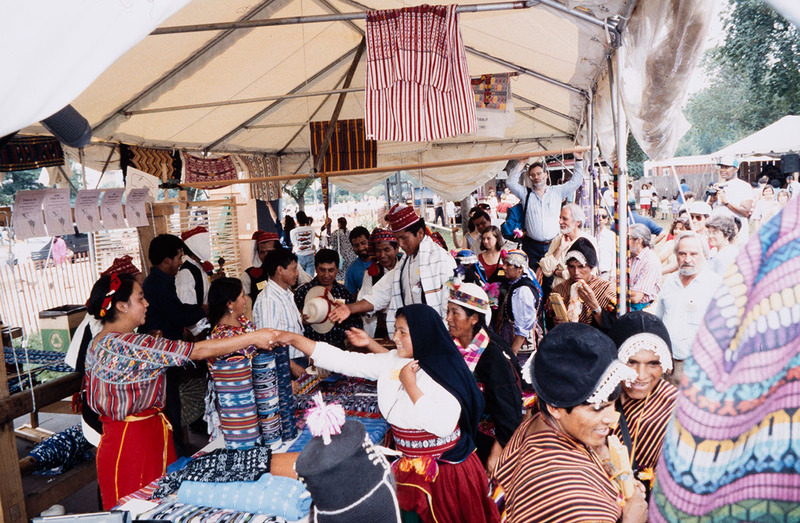 1994 Festival of American Folklife, Culture and Development in Latin-America and the Caribbean program (FAF1994_0453). 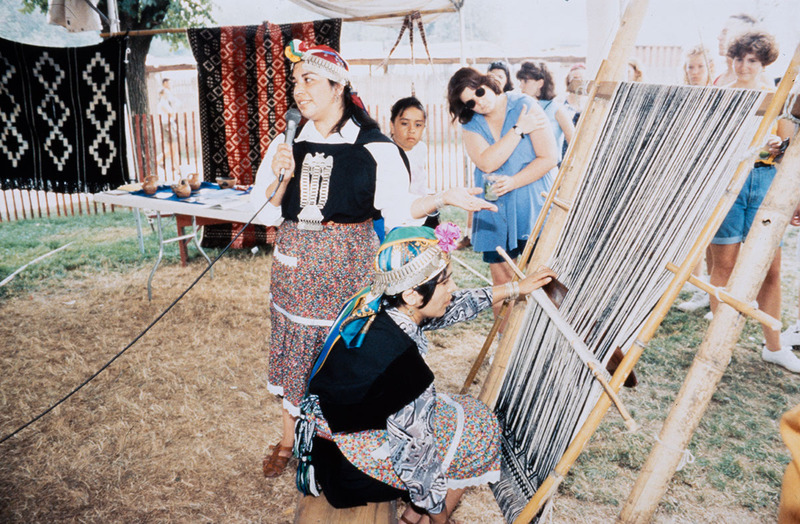 1994 Festival of American Folklife, Culture and Development in Latin-America and the Caribbean program (FAF1994_0457). 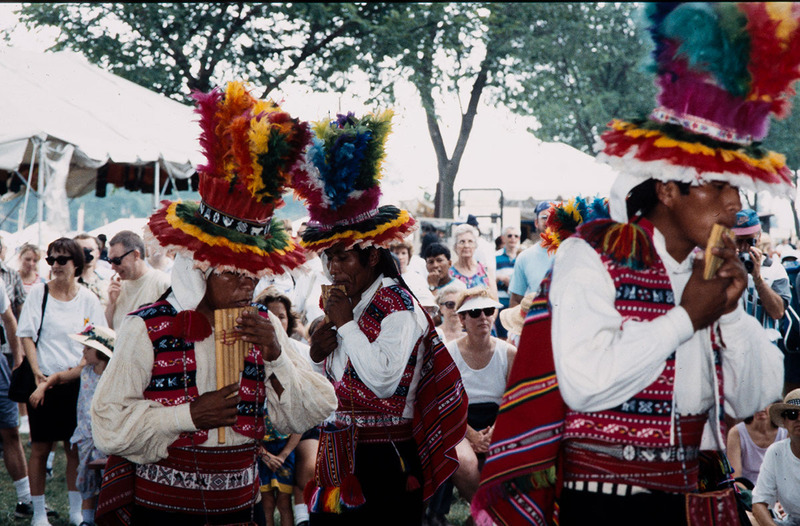 1994 Festival of American Folklife, Culture and Development in Latin-America and the Caribbean program (FAF1994_0786). Photo by Nicholas Parrella. Courtesy of the Ralph Rinzler Folklife Archives and Collections, Smithsonian Institution. 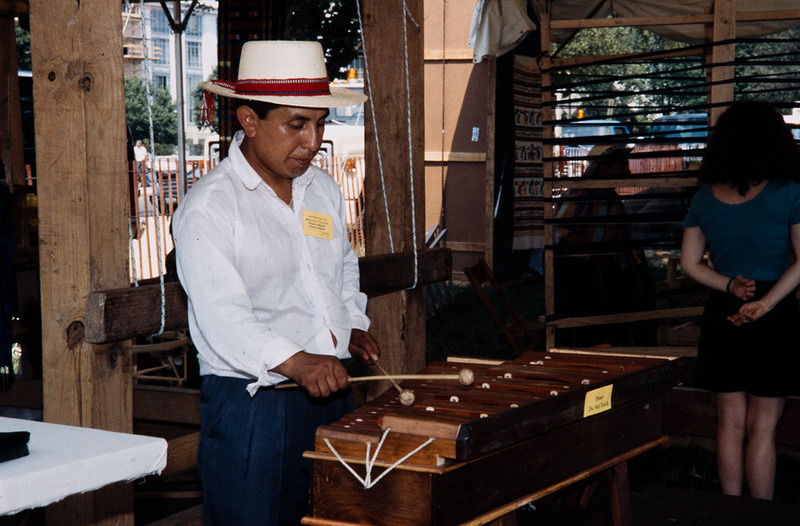 1994 Festival of American Folklife, Culture and Development in Latin-America and the Caribbean program (FAF1994_1076). 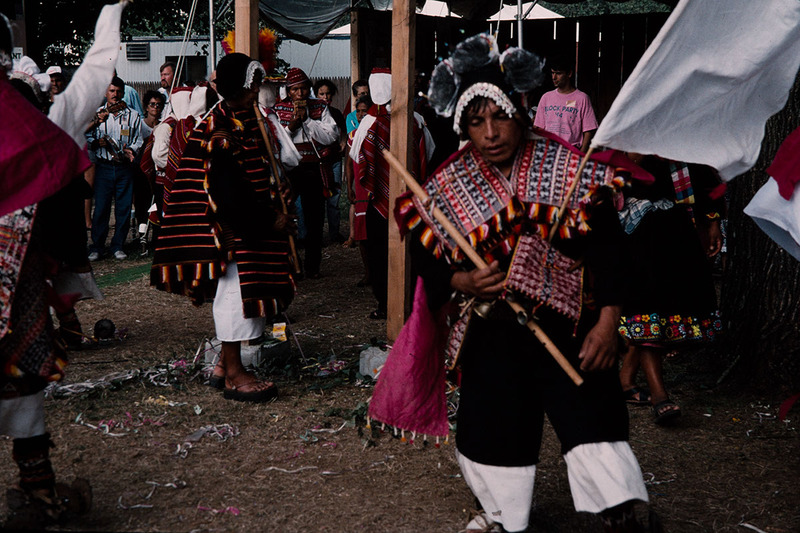 1994 Festival of American Folklife, Culture and Development in Latin-America and the Caribbean program (FAF1994_1083). Can the culture of native peoples be a springboard for development, or does it inevitably block progressive change, creating permanent backwaters in society? For much of the 20th century, official development doctrine viewed indigenous culture as a barrier to improvement. Development policies in Latin America after World War II assumed it was necessary to "integrate" and "assimilate" indigenous peoples into the cultural mainstream of a modern industrializing society. Planning documents from that era frequently describe indigenous beliefs and customs as "backward" and "worn-out traditions" obstructing the path to modernization and economic progress. Perhaps it is not suprising that 40 years of these policies failed to produce most of their desired results. Yet experiences in participatory development, alternative trade markets, and local education suggest sound ways to organize development projects and to build strategies for social change. Among the latter is an approach that Festival researchers referred to as "ethnodevelopment," which strategically places culture at the center of rural development planning. Local development projects that take this approach demonstrate how indigenous culture - technologies, knowledge, organizational skills, and talents of Indian groups - can be engaged for effective and sustainable development. Strategies for self-reliance like these create local political empowerment and socioeconomic revitalization and may even bring about reform of state policy. As a group, the ethnodevelopment projects represented at this year's Festival combine the recovery of cultural and organizational resources with the use of technologies developed relatively recently, such as community- based surveying and radio broadcasting. All of these strategies serve the ultimate goal of empowering the original inhabitants of our hemisphere as active participants in their own development. Festival audiences had the opportunity to meet representatives of a range of development projects from throughout the hemisphere, to see them producing their crafts, and to discuss with them the challenges of sustainable development that respects community values and aspirations. Olivia Cadaval and Kevin "Benito" Healy were Curators, and Cynthia Vidaurri was Program Coordinator, with Chuck Kleymeyer and Peter Seitel as Principal Advisors. Country Advisors included: William Barbieri, Guy Branch, John Burstein, Denise Humphreys, Christine Krueger, Robert Maguire, Eric Olson, and Kaye Pyle. Country Coordinators were: Amankay Instituto de Estudos a Pesquisas – Brazil; Eficiencia y Desarrollo (EFDES) - Chile; Grupo Para el Desarrollo Empresarial (GRUDEM) - Panama; Institute de Consultation, d'Evaluation et de Formation (ICEF) - Haiti; Seguimiento, Análisis y Evaluación para el Desarrollo (SASE) - Peru; Servicio de Apoyo Local (SALDEBAS) - Mexico; Servicios Multiples de Desarrollo "SEMILLA" - Bolivia; Sistemas de Consulta y Servicios, S.A. (CONSULTA) - Guatemala; Sistemas de Investigación y Desarrollo Comunitario (COMUNIDEC) – Ecuador. Culture & Development in Latin America & the Caribbean was made possible with the collaboration of the Inter- American Foundation in celebration of its 25th anniversary of promoting grassroots development, with support from Fundación Esquel Ecuador, The Synergos Institute, and PROANDES-UNICEF.